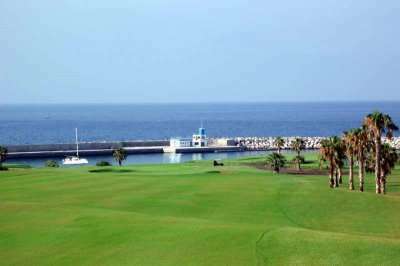 Located just a stone’s throw away from Tenerife’s Golf del Sur course, the Vincci Tenerife Golf Hotel is a beautiful seafront hotel in the town of San Miguel de Abona. This recently refurbished property boasts spectacular views and fantastic facilities for the whole family to ensure an unbeatable stay. Nestled in the heart of the Golf de Sur resort, guests here will find themselves in the middle of the action with plenty of things to do and see. This property is just 100 metres away from a wide array of shops, bars and restaurants. A main site of this captivating island includes the Tiede National Park, where visitors can explore arguably the most beautiful landscape on the island consisting of Mount Tiede. Conveniently for guests, this site is only 50 minutes away by car. For a day of thrilling family fun, guests need not look further than the Siam Water Park which is less than a 20 minute drive away. Alternatively guests only need to travel to the neighbouring beach to find a wide range of water sports on offer including jet skiing and diving. 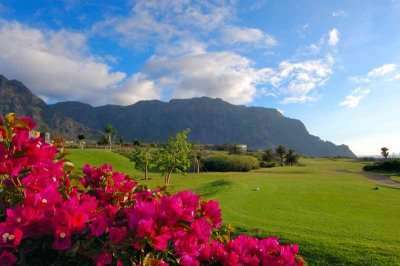 Golfers will find this hotel to be the perfect getaway; they have the opportunity to explore some of the island’s key sites and attractions whilst still having a range of fabulous golf courses nearby. 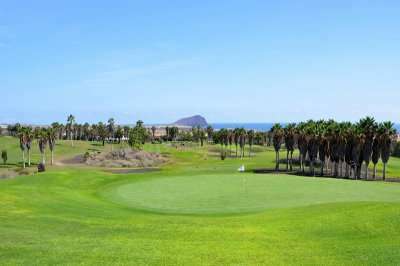 For example, the Golf de Sur course neighbours this property, and if they choose to travel slightly further afield to play then they only need to travel 15 minutes by car to the Gofl Las Americas course. Each of the 125 chic and spacious rooms have been decorated in a natural tone, and designed with your comfort in mind. All rooms feature modern essentials such as air conditioning, satellite TV and a well-stocked minibar. Guests can take advantage of the hotel’s beautiful setting with their own private terrace/balcony. A majority of these rooms boast stunning panoramic sea views. Some junior suites even feature their own private hot tubs. The hotels offers its guest an outdoor pool to catch some rays and relax. The younger guests can be preoccupied at the children’s pool and Mini Club. Guests are invited to wind down further in the spa area comprising of a sauna, steam room, indoor swimming pool and treatment rooms. Other leisure facilities at this property include tennis, volleyball and football on the multi-purpose courts. The hotel’s restaurant features a fantastic buffet style service with show cooking. Bar Mirador boasts spectacular views overlooking the ocean, and makes the perfect setting to enjoy a well-deserved cocktail with friends and family.